What attracted you to Avanti? When I first came in for an interview the staff were really welcoming. The office had a warming buzz about it, there were people celebrating and laughing. In general it felt like a good place to be, Gary interviewed me and made me feel comfortable from the get-go. He was really transparent about the life of a recruiter and he seemed like a great guy to work for. 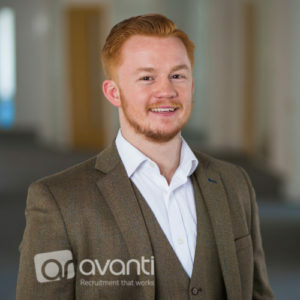 There are plenty of great things to shout about when it comes to working at Avanti. I think the main driver behind this is the senior management team. They’re down to earth and easily approachable, it’s obvious they care about the company and the team here. There’s brilliant opportunities for career progression and lots of fun incentives in place.